The MIPS architecture was created in 1985 from a project at Stanford University. It was one of the first licenseable architectures. A company could buy a license and make their own MIPS architecture processors. By the 1990’s this had become fairly common and many companies were making MIPS processors, including Performance Semiconductor, IDT, NEC, Toshiba, LSI and more. In 1992 MIPS Computer Systems, Inc. was bought by SGI, in order to guarantee a supply a continued development of new MIPS designs for SGIs computers. It did continue to license the design to other companies as well, fostering competition which helped lower prices for SGI. In 1998 SGI spun off MIPS into its own company once again, as SGI at the time had decided to move towards Intel’s Itanium architecture (this should sound familiar, DEC and the Alpha suffered the same fate). By 2008 MIPS was losing money and in 2013 what little remained (having used most of their cash to buy, and then sell at a loss Chipidea) of them was bought by Imagination Technologies (makers of the PowerVR line of graphic solutions, used notably in the Apple iPhone’s A4, A5, A6, and likely A7 processors). But there is a bit more to the story of MIPS, a seemingly small chapter that very well could have changed history and certainly changed the success of MIPS. In 1997 a small company called Lexra was started. Lexra was a semiconductor Intellectual Property company. They designed processors and licensed the designs. What made Lexra different is that they designed and licensed soft-cores. A soft core is an RTL (Register Transfer Level) model of the processor. 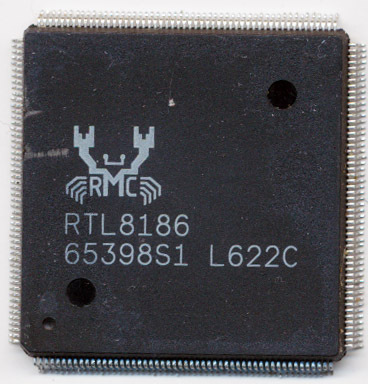 It is usually written and delivered in an HDL (Hardware Descriptive Language) such as Verilog or VHDL and the purchaser may compile it down to whatever actual transistor level hardware they like. This is exactly how ARM works today, but in 1997 ARM only licensed hard cores, cores already compiled down to the gate level and ready for implementation on a given fab process technology. This allowed them to have tighter control over the design and its performance, but made integration much harder into other products. A soft core like Lexra designed enabled rapid integration into a variety of SoCs and other applications. Lexra’s chosen architecture was MIPS and that is where the story gets interesting.